Kershaw Teal Multi-Utility Knife with Sheath | BUDK.com - Knives & Swords At The Lowest Prices! The bright, brilliant colors from Kershaw's Pure Komachi 2 line does not only bring joy to your kitchen but the bright colors help prevent cross-contamination. Each knife is a different color that way you know which knife works for each job in the kitchen! 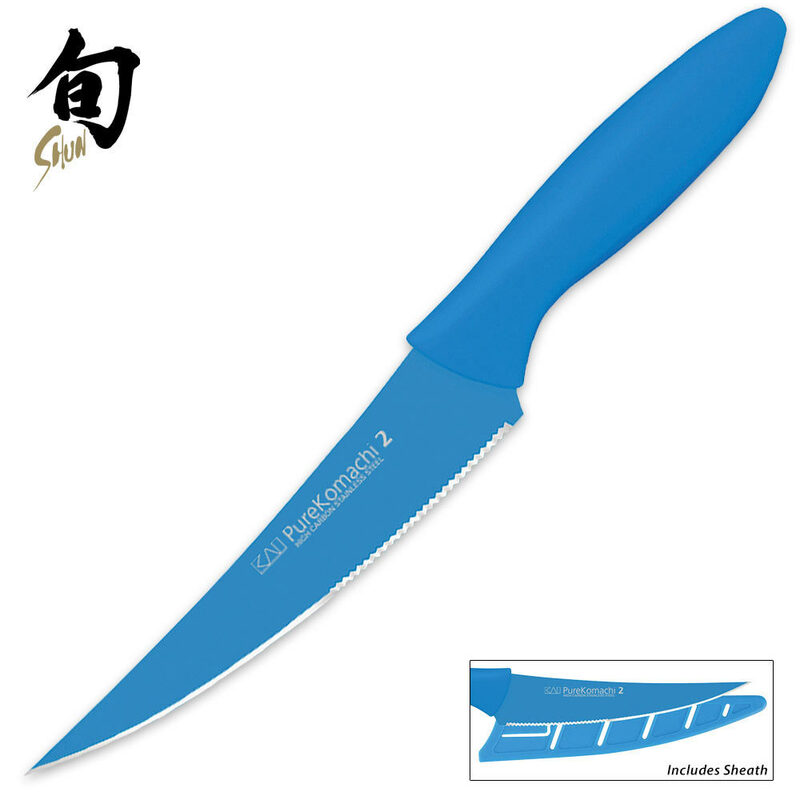 The Multi Utility knife is teal blue and designed for multiple uses in the kitchen.